Play this video while you read, Air Force Ones – Nelly, it’s a great song! Nike Air Force 1’s are an iconic style staple. It really doesn’t matter if you throw on jeans, a pair of khakis or even black pants, when you throw on a pair of Air Force 1’s, your style automatically looks fresh and current. 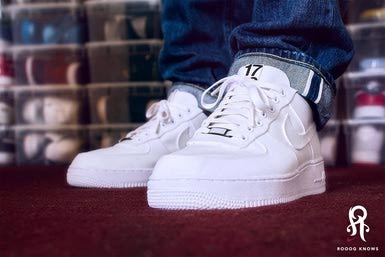 The basic white Air Force 1’s are all you need to create the perfect causal simple style. I mean, come on, there was even a song by the popular artist Nelly about his love for his Air Force 1s. How can you not love these stylish comfortable shoes? So let’s talk about comfort, are the Air Force 1s a comfortable shoes? The answer is simply, yes! It doesn’t matter if you wear these sneakers with socks or not, these shoes are classically designed with great support and cushion for the ultimate comfort level. Of course, most people would recommend that you do wear socks with your Air Force 1 shoes (or any sneakers for that matter.) You really don’t want your sweaty feet to cause a stinky funk in your brand new shoes, right? That might be a bit embarrassing and shoe odor is hard to get rid of. So, by all means, please wear socks with your sneakers anyway. What’s so classic about the design and style of Air Force 1s? Of course, there is the classic white Air Force 1s that are really designed in a sleek clean fresh style. Thick soles and sturdy rubber makes for good foundation in the shoe while the fabric is breathable and the toe box is a medium size to accommodate all types and sizes of feet. You need to take really good care of the classic white AF1s, everyone knows how hard it is to keep a good white shoe absolutely clean and white at all times. My suggestion would be to wear them in a casual setting and try to keep the weather to a minimum while wearing your classic white Air Force 1s. Try to avoid rainy muddy days as much as possible to keep your fresh white shoes clean. Although, there are some other different styles of Air Force 1s. You may get them slightly designed different in an updated version and you can get different colors when available through the brand. The most popular design of the brand is of course, the classic white style seeing as they are the most versatile sneaker available on the market, in my opinion, as far as style goes. Are Air Force 1s designed for working out and exercise? To be honest, they could be used for exercising in a low impact matter. Maybe for walking, but honestly, Air Force 1s are more for comfort, style and casual wear. I would typically recommend that if you are looking for a high impact workout shoe that you check out some of the other series of sneakers that Nike provides. Nike does make several different series of athletic sneakers specially designed for running, jogging and different types of workouts. I think it would be best to stick to a casual wear for the classic Air Force 1s. What other types of Nike sneakers are preferred for more intense work outs & sports activities? There are several different series of sneakers that are designed just for sports and working out. The most popular series include Nike LunarGlide 6 , Nike Lunar Tempo and The Nike AirZoom Elite. These series of sneakers from Nike are highly rated by professional runners and trainers all over the world. If you are looking for a high impact workout shoe, it’s important to remember that all shoes are designed and made differently. You need a shoe with really good shock absorbency and a nice comfortable fit for the best form possible while working out. What other types of products does Nike have to offer besides shoes? Nike provides all types of workout and athletic gear and apparel. Nike offers everything from clothing for every day wear as well as workout gear. 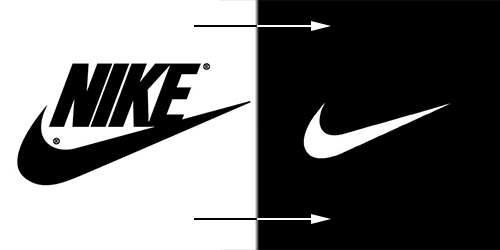 Many people just love to sport around the Nike brand on their clothing apparel everyday. They also offer hats, gloves and arm sleeves for those who need extra accessories for their workout needs. Nike also offers a great line of arm and waist bands to help their customers achieve their fitness goals. Many of the arm bands come with a specific design to carry an Ipod, MP3 Player or cell phone while the waist bands can include zipper pouches and water bottle holders to accommodate the needs of their customers during their workout or sporting experience. The Nike company was founded in 1964 as Blue Ribbon Sports, by Bill Bowerman and Phil Knight and officially became Nike Inc. in 1971. The company is one of the highest grossing athletic and apparel companies in the world. Nike specializes in athletic wear, sneakers and accessories. They were founded on the comfort and stability of a great athletic sporting good for those who want to work hard, play sports and train to the best of their ability. While the Nike brand is ever so popular, Nike has stayed loyal to their customer base as well as new customer by keeping their products affordable and also the highest of quality. Nike is truly an iconic legend among athletic apparel and it’s the top in it’s industry. If you are truly looking for the best quality of sneakers, sporting goods, apparel or what have you, you should always go with a Nike brand for not only the durability but also for the quality of the product. You absolutely cannot go wrong when you purchase a Nike product. The brand is safe and secure. You will never doubt the quality and performance of the Nike products that you purchase.